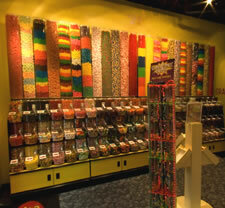 River Sweets Candy is conveniently located in our lobby and offers a huge variety of mix and match candy by the pound. Choose your favorites from over 100 varieties of candy, taffy, chocolates, sour gummies and our popular sugar-free choices. The virtual tour requires Adobe Flash Player version 9 or better.